Updated 3/9 06:30 CEST. The final days of SMART-1's spectacularly successful mission have seen intense activity including a successful recovery from safe mode as mission controllers manoeuvre the craft into a planned Moon impact, newly estimated for 07:42 CEST Sunday, 3 September. A tense, 6-hour recovery from an unexpected safe mode activation, one of the quickest in recent ESA spacecraft operations memory, allowed manoeuvres to proceed nominally during the night of 1-2 September aimed at avoiding a premature Moon impact. Earlier this week, and based on estimates including local area topography, impact was due to occur during orbit 2890, on 3 September, 2006, at 07:41 CEST (05:41:51 UT), at a spot located at mid-southern latitudes on the lunar near-side. This region belongs to the so-called 'Lake of Excellence'. Of the possible impact times and locations, this spot was chosen to favour the ground observation campaign and optimise potential science returns. However, the latest estimates of the elevation of the surrounding Moon terrain indicated that, in the absence of any further manoeuvres, impact would very likely occur one orbit earlier, at 02:38 CEST (00:38 UT) during orbit 2889, with SMART-1 possibly clipping the rim of a medium-sized crater, Clausius a crater jutting some 1600 metres up and located at 43.5º West and 36.5º South. While impact may still occur earlier due to uncertainty in terrain elevations, the possibility of this happening has been reduced as much as possible. The refined estimates came earlier last week from scientists working at the UK's Nottingham University and specialising in 3D digital image interpretation. Stereo image analysis combined with current topographical models of the Moon, as well as information obtained from AMIE photos taken of the potential impact area in mid-summer and on 19 August, indicated a high probability that there could be an additional 200-400 metres of landscape elevation intersecting orbit 2889. This conclusion was supported by additional data analysis provided by the USGS (United States Geological Survey). As a result, during the night of 1-2 September, mission controllers conducted manoeuvres using the spacecraft's thrusters aiming to boost the height of perilune of the penultimate orbit, while maintaining the intended (nominal) impact time and location. The manoeuvres successfully achieved this aim, boosting perilune by 592 metres, with the result that the new impact time is now estimated to be 07:42 CEST (05:42 UT), 1 minute later then previous, and at 46.2º West and 34.2º South. "While impact may still occur earlier due to uncertainty in terrain elevations, the possibility of this happening has been reduced as much as possible based on the information we now have," said Bernard Foing, SMART-1 Project Scientist. To complicate matters, at 15:09 CEST on 1 September, and with the planned manoeuvre activity pending, SMART-1 unexpectedly placed itself into 'safe mode', a standard recovery and diagnostic status in which most spacecraft functions and payload operations are suspended. Safe mode is usually caused by a key parameter running out of expected range, or by a memory or CPU problem in an on board computer, and it allows controllers to investigate the problem, upload corrective commands and restart normal operations. The switch to safe mode occurred just after the star trackers had recorded and stored routine images and after a download of other stored data. After six tension-filled hours during which controllers working in the Main Control Room at ESOC, ESA’s Spacecraft Operations Centre, implemented a contingency recovery, Spacecraft Operations Manager Octavio Camino happily reported full recovery at 19:15 CEST. SMART-1 flight control team members nicknamed the successful operation a 'super quick recovery' in view of the requirement to finish in time for the thruster manoeuvres. "We believe that safe mode was caused by an overload being put on the spacecraft in the last orbits. We resumed payload operations at 20:30 CEST, 1 September," said Camino. He added: "The spacecraft is back in business and the manoeuvre will take place as planned." Mission staff, scientists and principal investigators are meeting at ESOC in Darmstadt, Germany, 2-3 September, to receive, analyse and interpret final data transmitted from SMART-1. The extended team is also keen to be close to the centre of mission control activities as their spacecraft's mission reaches a successful conclusion. During the evening of Saturday, 2 September, mission scientists expect to receive the last data stored on board, which will be among the final science returns delivered by ESA's first Moon mission. 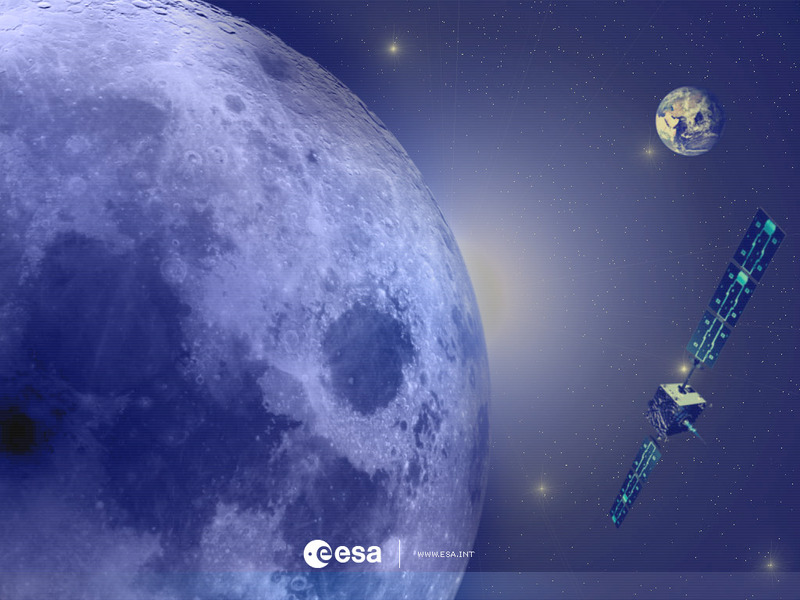 The ESA web portal will publish results as soon as they are available late on 2 September and early on 3 September.